Here's a real breakthrough in the safe use of 12 and 22 liter round-bottom flasks. 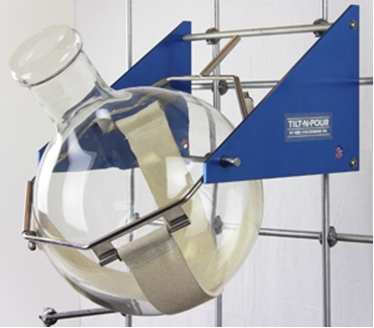 The support system holds the flask safely in a cradle even when the heating mantle has been removed or lowered. 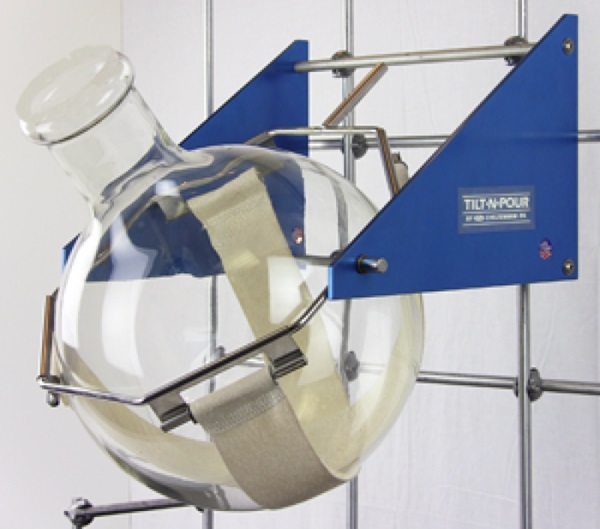 It also provides for safe pouring from the flask by simply tilting the cradle. The support cradle for TILT-N-POUR™ is a sling of Fiberglas webbing, hung from a sturdy frame. 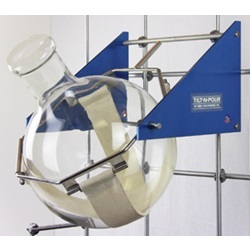 When you want to pour off the contents in the flask, the supporting frame can be easily unlocked and tilted without disturbing the flask itself.